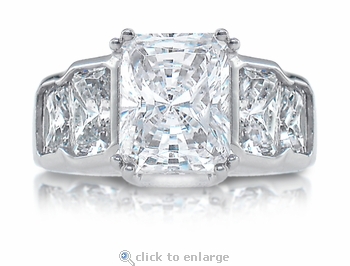 The Radiance Mignon 2.5 Carat Cubic Zirconia Semi Bezel Emerald Radiant Cut Graduated Engagement Ring is the smaller version of our Radiance Galore, item R1126. Both rings are packed with brilliance. 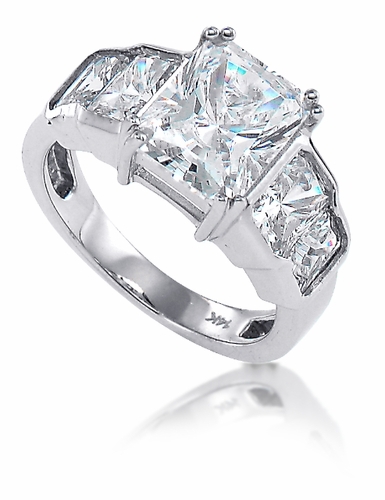 This gorgeous ring features a 2.5 carat 9x7mm radiant emerald cut diamond quality cubic zirconia center stone set in a split double prong head for a more custom detailed look. The sides of this engagement ring feature semi bezel set radiant emerald cuts that graduate and taper down in size from .75 carat 6x4mm each to .50 carat 5x3mm each cz stones. 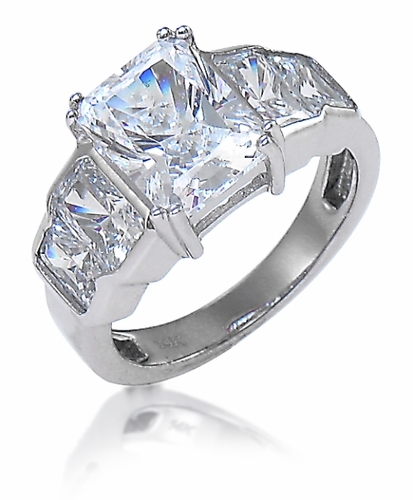 Original Russian formula cubic zirconia that are hand cut and hand polished provide the perfect finished product with our solid 14k gold, 18k gold and Platinum mountings. 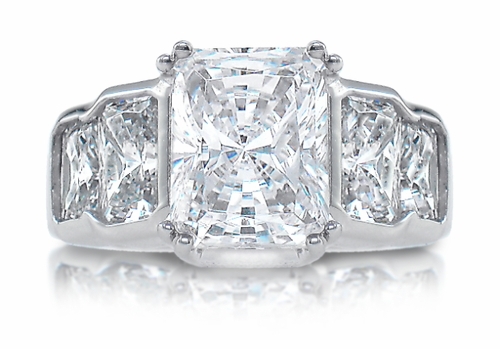 The Radiance Mignon graduated emerald cut solitaire ring has a total carat weight of 4.5 carats with a shank measuring approximately 3.5mm. Available in various metal options. Due to extremely low pricing, all clearance items are a final sale.